Uttam Sugar Mills, Dharani Sugars, Triveni Engineering, DCM Shriram Industries, Thiru Arooran Sugars and Dwarikesh Sugar were up in the range of 5 to 10 per cent on the BSE in intra-day trade. Shares of sugar companies rallied up to 10 per cent on Friday, extending their previous day’s gains on the BSE after the government approved Rs 10,540 crore soft loans to help sugar mills clear cane arrears. Uttam Sugar Mills, Dharani Sugars & Chemicals, Triveni Engineering & Industries, DCM Shriram Industries, Thiru Arooran Sugars and Dwarikesh Sugar Industries were up in the range of 5 to 10 per cent on the BSE in intra-day trade. Balrampur Chini Mills (up 4 per cent at Rs 137) and Dalmia Bharat Sugar and Industries (6 per cent at Rs 130) hit their respective 52-week highs. In comparison, the S&P BSE Sensex surged 0.53 per cent to 36,058 levels, at 10:04 am. 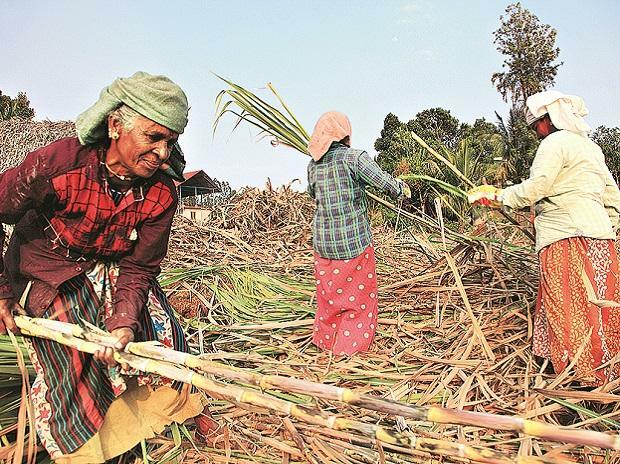 According to a PTI report, the government on Thursday announced a soft loan of up to Rs 10,540 crore to the sugar industry to help mills clear mounting arrears to cane growers, a move that would cost exchequer up to Rs 1,054 crore as interest subsidy. The hike in minimum selling price of sugar by 7 per cent to Rs 31 per kg from Rs 29 per kg, approved by the union cabinet recently, is expected to address the profitability and liquidity issues of sugar mills, and ease their cash crunch, thereby enabling payment of accumulated arrears to sugarcane farmers. According to rating agency CRISIL, Ebitda (earnings before interest, taxation, depreciation and ammortisation) margins are expected to improve by 200-300 basis points for mills in the north and by 300-400 basis points (bps) for those in the south, given that cost of cane is lower in the region. However, stagnant cane costs and higher sugar prices would enable mills in the north to make higher margins compared with their southern peers. Over the past one month, the market price of Uttam Sugar Mills, Magadh Sugar, Dhampur Sugar Mills, Avadh Sugar, Dalmia Bharat Sugar & Industries, Triveni Engineering and Industries, Dwarikesh Sugar Industries, Balrampur Chini Mills have surged over 30 per cent, against 6 per cent rise in the S&P BSE Sensex.